Emilio Pucci Spring/Summer 2011 Handbags. The perfect handbag is the one which you feel proud wearing and which completes your outfit flawlessly. Emilio Pucci seems to be an expert in creating perfect looking handbags so take a peek at his latest handbag collection for spring 2011 and find out if the styles suit you! Emilio Pucci is most definitely one of the most renowned Italian designer labels in the fashion industry and this is due to the talent Emilio Pucci was blessed with. The trademark of Emilio Pucci seems to be geometric patters which can be easily recognized due to the interesting look obtained. The Emilio Pucci spring/summer 2011 handbags look absolutely fabulous and follow greatly the new trends in accessories. There are a variety of prints styles to choose from but it seems that these prints appealed to Emilio Pucci more and these prints gradually became associated with his work. After the regretted passing away of Emilio Pucci, his name was carried on by his daughter Laudomia Pucci and the LVMH group. The high quality of the designs and trademark geometric prints are still featured today on the new fashion collections. 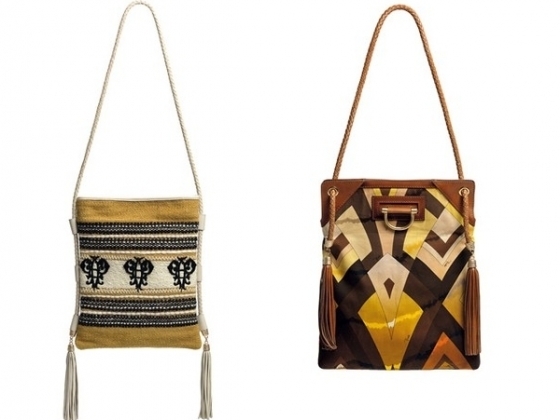 It seems that most of the handbags designed for the spring/summer 2011 collection received a casual-chic look, with a certain bohemian influence. This allows the handbags to stand out and step out of the ordinary, as this is what makes a handbag special. 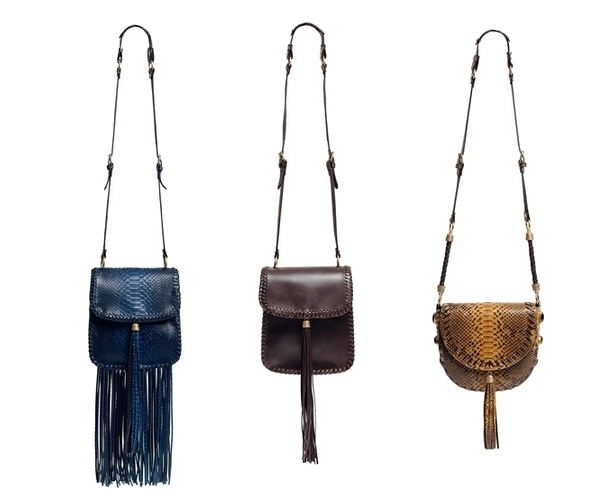 Fringed shoulder bags seem to be a favorite at Emilio Pucci spring/summer 2011 handbags collection and they look fantastic. They exude a certain casual yet uber-stylish air so they are perfect for women who love to adopt a casual-chic fashion style. The geometric prints couldn't have missed from this stylish spring/summer 2011 handbag collection so they have been fabulously introduced using the help of lovely simplistic handbags. 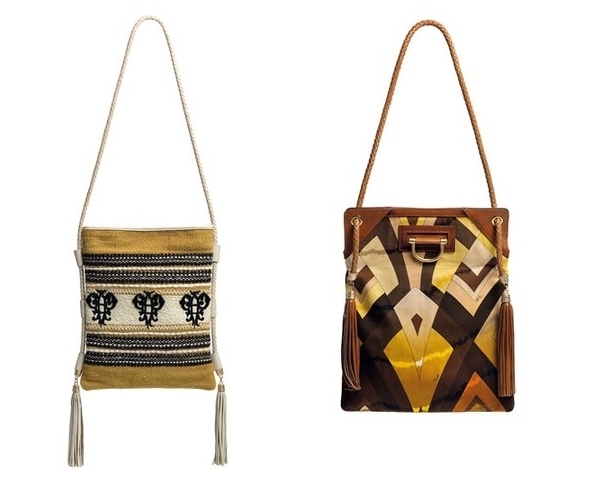 These handbags seem to be hippie influenced as this year you can see a variety of influences on the runways. 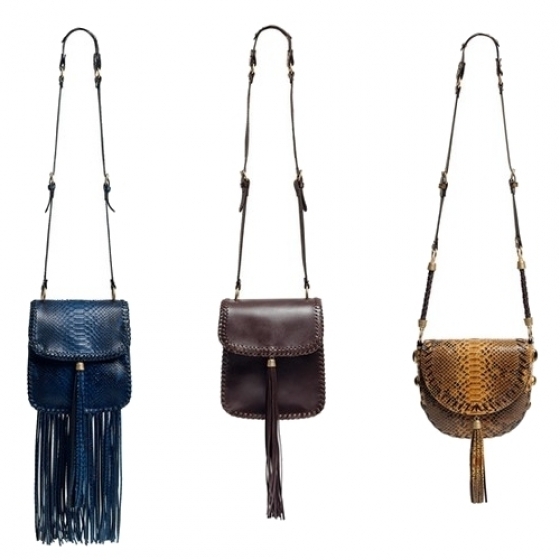 Adorned fringes on the sides of the handbags help emphasize the relaxed look featured by the designs and the lovely prints give a certain warmth and distinct look which attracts attention. A dark woven clutch which looks extraordinary similar to the clutches designed by late Alexander McQueen was also featured in the collection and it looks amazing. The elegance yet casual style of the handbag design allows you to wear this clutch with different style outfits. The colors used by Emilio Pucci were earthly toned and looked absolutely fabulous. Definitely a handbag collection worth admiring!